Conveniently located in Montgomery County between Independence and Cherryvale is a 2,120 sq/. ft. home built in 1981 3 bedrooms, 3 bathrooms, 2 car attached garage with 5 acres. A cement sidewalk leads to the main entry of the home. The open living room is the first to be seen when entering, with bay windows overlooking the front entrance and allowing in extra light. A wood burning fireplace occupies the middle of the living room for additional warmth and coziness in the cold months. The kitchen was newly remolded in 2008, including beautiful wood cabinets, new tile and new appliances. A bar separates the kitchen and family room for a very open concept. To accent the family room is a rock lined wood burning fireplace with room for much decor. The family room leads to a sun room that was added on to the home in recent years. Lots of open space around this home makes it perfect for entertaining, Many additional updates can be found around the home within the recent years, including a roof replacement in 2012, windows replaced in 2010, central heat/air throughout, wood lined walls and security system in place that transfers with the home. Two outbuilding are located on the property with complete concrete floors and water access, measuring at 20x160 and 16x80 used to serve as kennels. Above the 20x160 kennel is an 1,116 sq/. ft. apartment fully equipped with 2 bedrooms,1 bathroom and kitchen, that currently rents for 500/Month. 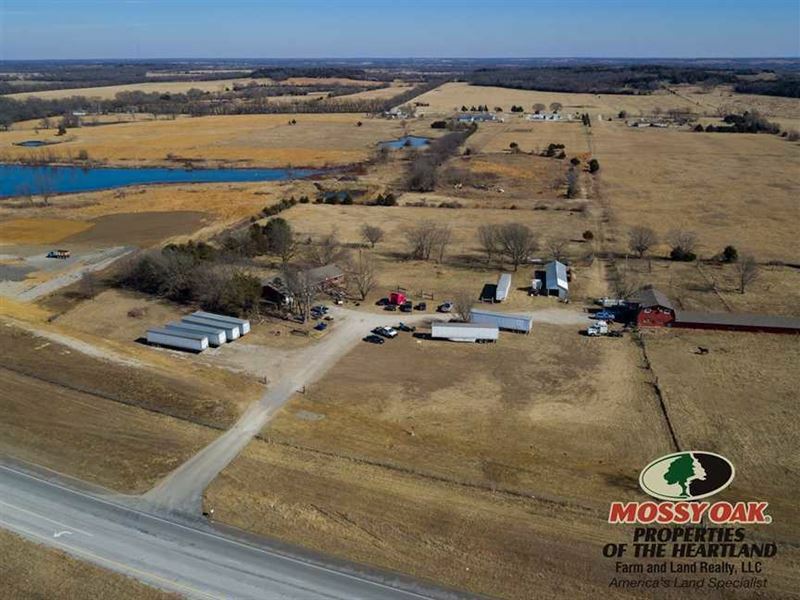 Owner has up to 30 acres, if you wanted additional acreage.